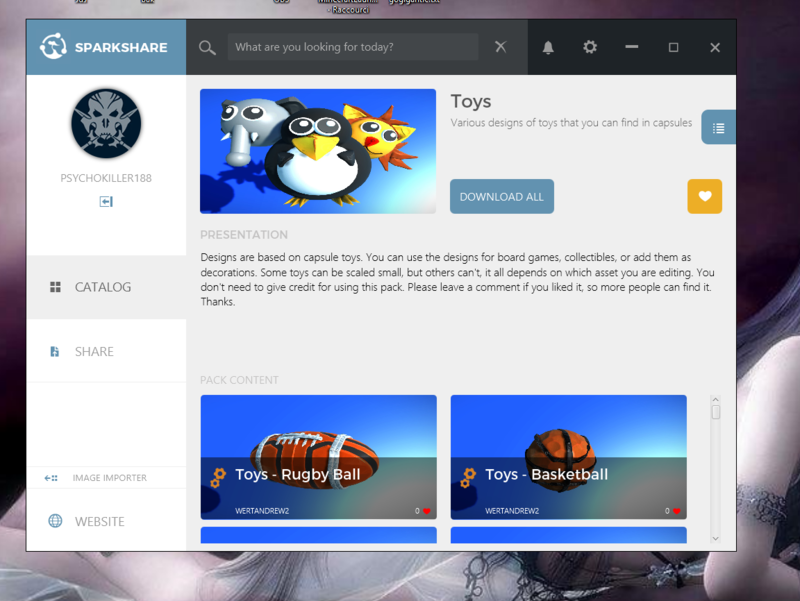 SparkShare 1.1 is now live and you can obtain it through the auto update of SparkShare. Simple launch Sparkshare and it should ask you to update. Fixed update/upload sequence and their respective notification forever saying "uploading..."
Great additions my friend...one small note, (not of major significance), but the scrollbar in packs detail page only works when fullscreen, as i say, not of major significance, but if people don't know they may not think it works if they are not in fullscreen when trying it. I haven't been through everything yet, but really like what you have done here. Sorry Psychokiller1888, i should have been more specific...it displays, but Were you able to scroll with it as well? I'm not...just tested again and it just moves my entire page around the screen instead of scrolling. I was only commenting on the slider aspect because i tend to test things at the bare bones level and look at things from the simplest perspective, which is why i said it wasn't of major significance. Most will have a center wheel anyway, i just start out thinking...but what if they don't. My last wireless mouse didn't. I just wanted to help ensure everyone had as good an experience as i did. I think you are doing a great job on the site and it is the perfect companion for Project Spark and all it's creators. You are more than welcome, very glad to be of any assistance...and no worries, i didn't read any harshness, was just trying to describe it better and provide more info to make it clearer and easier for you.